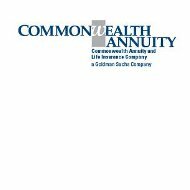 This Commonwealth Annuity & Health Insurance Company Review explores Southborough, Massachusetts-based Commonwealth Annuity and Life Insurance Company. Commonwealth Annuity and Life Insurance Company is wholly owned by Goldman Sachs Group of New York, New York. Goldman Sachs Group y Compania, S. de R.L. de D.V., Ciudad de Mexico is an investor in the company. Commonwealth Annuity and Life Insurance Company was founded in 2002. Goldman Sachs Group, Inc. is one of the world’s pre-eminent investment banks, and provides investment management, securities, and other financial services to the firm’s clients. Goldman Sachs serves high net worth individuals, financial institutions, government, and corporate clients. Goldman Sachs maintains offices in Tokyo, Frankfurt, Hong Kong, London, and other key financial center locations around the globe. While you are thinking about health insurance rates, enter your zip code to request competitive health insurance quotes now! Continue reading to learn more about Commonwealth Annuity and Life Insurance Company, including contact information, financial products and services offered, and financial strength ratings. According to A.M. Best, the company is rated “A-” (Strong). Standard & Poor’s also rates the company “A-” (Strong). Moody’s gives Commonwealth Annuity and Life Insurance Company an “A2” rating (Good). Dun & Bradstreet reports that the company generated $345.27M in sales during fiscal year 2010. Our research shows that Commonwealth Annuity and Life Insurance does not focus on the sales of health insurance products, although they sell some health insurance to meet customer needs. Health insurance companies pay insurance agents like Commonwealth Annuity and Life Insurance commissions for customer purchases. According to the National Association of Insurance and Financial Advisors (NAIFA), health insurance companies have reduced the commissions paid to health insurance sales brokers and agents. Health insurance companies say that paying lower commissions to insurance agents drives down the rising costs of health insurance. Companies like Commonwealth Annuity and Life Insurance sell retirement planning products, such as annuities, and life insurance products. Annuities offer investors in high tax brackets to save money on a tax-deferred basis. Life insurance helps individuals, families, and businesses protect against the detrimental financial impact of death of a family member or key person. Commonwealth Annuity and Life Insurance markets and distributes financial services products created by a variety of insurance companies. Clients should discuss their financial requirements at length before purchasing life insurance or annuity contracts. Employees at Commonwealth Annuity and Life Insurance offer clients the opportunity to compare and contrast financial products costs, terms, and liquidity features. Commonwealth Annuity and Life Insurance also helps clients purchase traditional insurance products, such as whole life insurance; individual retirement or pension products; and group retirement plans (RIO/RIFA). The company also distributes annuity and financial products offered by Fidelity, including 401(k) annuity, group annuity, immediate annuities, and qualified pension annuities. Finally, the company distributes some products and services offered by Transamerica Life Insurance Company, including traditional Transamerica whole life insurance policies.